It’s Black Friday Week – means that there are lots of awesome crafty sales till this weekend!! SIMON SAYS STAMP: Get 30% off all Simon Says Stamp products! The code “TGVG549“. Also, get a FREE gift with all orders over $100 (Thursday 11/22 only). 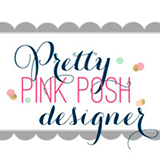 PRETTY PINK POSH: Get 20% off your order at Pretty Pink Posh with the code “FRIDAY2018“. ALTENEW: Offer 25% off stamps and die bundles! No code needed. SPELLBINDERS Holiday Hoopla Sale: Up to 50% off select dies, stamps, folders, and more and a FREE Gift with a $75. WPLUS9: Up to 70% off the entire store! They have 50% off Doorbuster Deals, an additional 50% off clearance, and 24% off all other categories. PICKET FENCE STUDIOS: 20% off the entire store! And, get an add-on Blender Brush while supplies last. The code “BLACK20“.